I shouldn’t be working on my summer vacation, but I just can’t stop these ideas from flowing!!!!!! I just made this game that I love to play with my students. It’s called Quiz Quiz Trade. It is a Kagan strategy that is very engaging for my kindergarten kiddos. 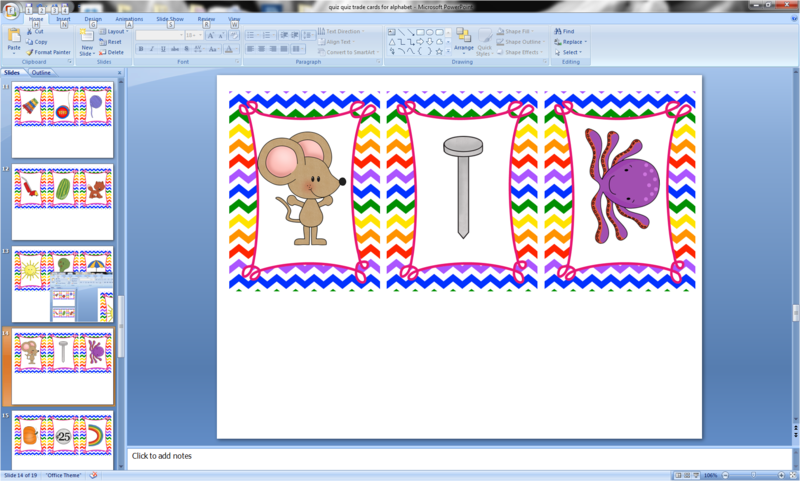 This one that I just made is for alphabet recognition. It’s great to use in the beginning of the year, and you can use them for your intervention small groups throughout the entire school year. You just print, cut, and laminate and they are ready to go. Give each student a card, and as the students partner up, they ask each other the beginning sound of the picture on their card. For example, ” What does mouse begin with?” or ” What does nail begin with?” Once both students have answered they then trade cards and find new partners. Very simple yet very engaging. 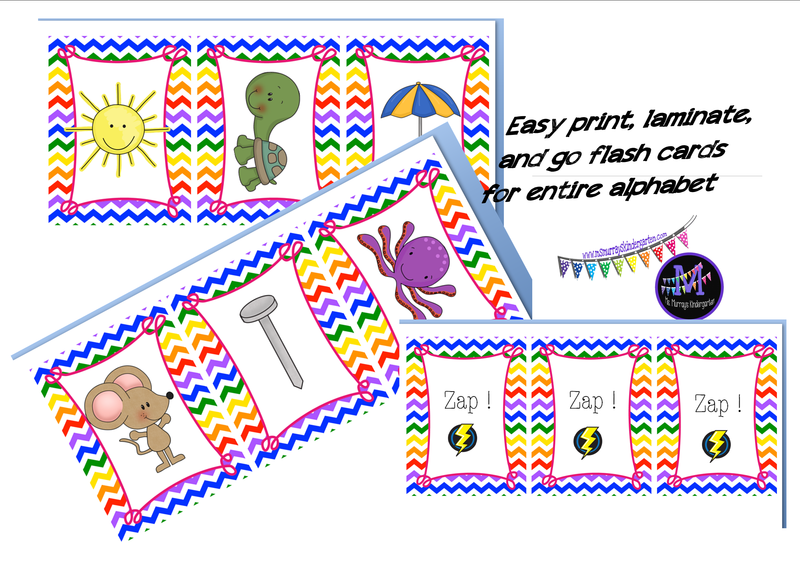 I also made zap it cards and smiley face cards to play with small groups. Basically students draw a card and say the beginning sound. If they get it right then they keep the card. If the student gets a zap it card… OH NO!! YOU HAVE TO PUT YOUR CARDS BACK IN THE PILE! I usually make a funny sound because let’s face it, its Kindergarten and that’s what we do to keep those kiddos entertained and learning (and so they don’t cry). I must admit, making funny sounds and singing keeps me entertained too. That’s why I teach this grade level.